Benchmark’s top ten meeting trends were announced by Ted Davis, Benchmark’s chief sales and marketing officer. Yes, super-fast and reliable WiFi throughout a property is a must, and every planner hammers hard at this in contract discussions as it can make or break a productive meeting, but it must be secure WiFi. The privacy and security of information for conference guests is paramount to planners. Not just the content of the meeting–the content of participants personal communications too. Privacy and security is at the top of every planner’s list. 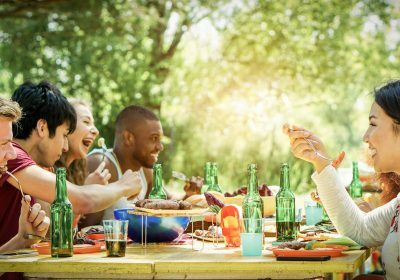 Food brings people together, whether they know each other already or are just getting acquainted. It’s about engaging and savoring the moment. Since conference guests tend to be curious and concerned with wellness, learning what food they are putting into their bodies is essential, and they come to the table well informed. Here’s what they want in 2019: Food that is fresh and locally sourced, in-season when the flavor is most robust, presented in small bites, and enjoyed interactively-family style. With informed consumers comes increased demand for growing dietary restrictions or preferences well beyond vegetarian and gluten-free. Paleo, keto, pescetarian, vegan and religious dietary requests are just the beginning of specialized conference dining this year, and chefs have taken note. It’s not that professional meetings planners aren’t sociable–it’s just that email continues to be the most preferred method of communication. What’s new, though, is that they don’t want to be contacted for business by social media, period. So, don’t Facebook, tweet, or Instagram them. Be respectful of a planner’s time and aware of how they prefer to communicate, including those who may or may not welcome a personal phone call. A simple and personal hand-written note will go a long way in making a memorable impression. Flexibility, customization, authentic and unscripted experiences all rank high in the minds of planners today, as does the feeling that independent properties excel in providing these for groups needing to create memorable and productive meetings. Another issue at hand with planning professionals relating to independent properties: Commissions, which are generally higher with independents. As more meetings trend toward involving 3rd-party planners, this is of significant importance to meeting planners going forward. Curated travel for groups (and their spouses/partners) on or off property is of very high importance. 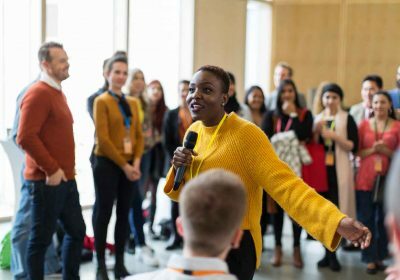 Even corporate executive leadership is weighing in with a growing desire for a trained and diverse workforce, and at the same time, their younger workforce is valuing unique experiences. So even though groups may want to huddle on property after a day of intense meetings, companies are urging their employees to get out into the destination for a broader experience. Cabaret show in town, anyone? Groups are requesting activities just like this. Culinary teambuilding gets hotter every year, whether it’s in the kitchen with the chefs learning about flavor balancing and fermentation, at the bar with mixologists, in the dining room at the table, or outside for a picnic-like experience. Bringing groups together interactively and family-style as a culinary team is red hot. But planners are also looking for entertainment to be included in teambuilding so learning is not only instructive and flavorful but great fun, too. Examples include lip sync battles, live interactive dinner shows, wildlife tours, hiking excursions, skiing, mountain biking, petting zoos and go-cart races on property. Planners want to enhance the lives — and life skills — of the “whole” person. Believe it or not, the most popular after-hours meetings group scene is gathering around an outdoor fire pit on property, kicking back and relaxing with colleagues over cocktails and s’mores. Absent fire pits, doing something – anything – outdoors and nearby is how today’s meeting participants want to ease into their evening. Think river and lake barges. Groups love the relaxed pace on a body of water. So whether chilling at the venue or out for the evening, the key thing for groups is relaxing together and getting to know colleagues as people and not just as co-workers. A lightning fast response to RFPs is essential to winning business with planners today. A request that comes in in the morning better be responded to by early afternoon or the venue may lose that business opportunity to a competitor. Want to gain an edge over the competition, beyond rapid response? Pay commissions promptly, maybe immediately. Today many more meetings are being managed by 3rd party planners with accompanying commission demands. Respond swiftly and generously, and you’ll win.